The Edwin Hotel Grand Opening! Acumen is excited to announce the grand opening of Vision Hospitality's The Edwin Hotel a Marriott Autograph property in downtown Chattanooga, TN. Acumen provided construction management services for this new boutique hotel development. 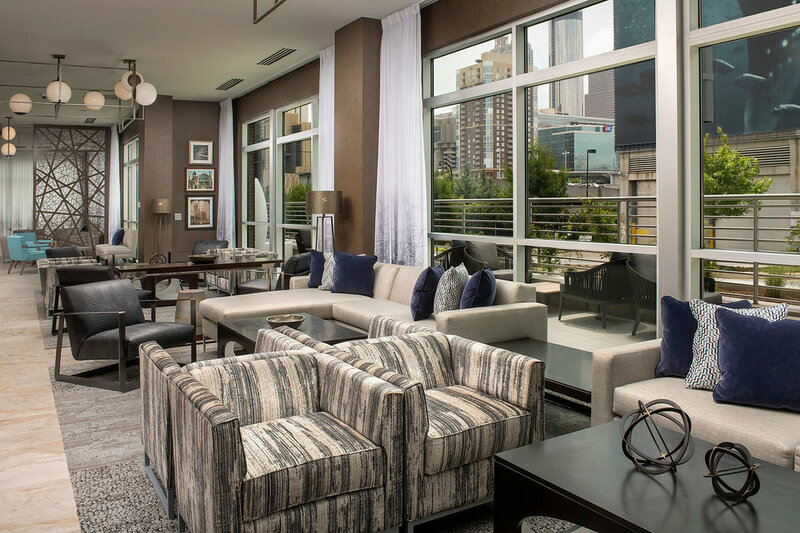 The five story hotel was designed by PV Design Inc. of Chattanooga with interiors designed by The Gettys Group of Chicago. From it’s ideal location along the river, guests can enjoy views of downtown Chattanooga, the Tennessee River and the Veterans pedestrian bridge. Within walking distance is the Hunter Museum of American Art, Bluff View Art District, Tennessee Aquarium and Creative Discovery Museum. Being faithful to the local artist community, the project team carefully curated over 200 pieces of art from 70 artists. These artworks reside in interior spaces that embrace a transitional southern decor aesthetic with a whimsical flair. This hotel is owned and managed by Vision Hospitality of Chattanooga, TN. Hotel Phillips Named Most Beautiful Hotel in Missouri! Congratulations to our team-mates on The Hotel Phillips project, which has just been named the Most Beautiful Hotel in Missouri, according to Architectural Digest! Acumen was thrilled to have run the design and construction on that project! Hampton Inn & Suites Decatur, GA Breaking Ground Fast! Earlier this year, Acumen and Vision Hospitality Group embarked on building the Hampton Inn and Suites Decatur Downtown, adjacent the town square in Decatur, GA.
Chattanooga based EMJ Construction has been moving dirt and installing foundations since, with progress moving rapidl, and the project is on track for a Q1 2019 Opening. NASHVILLE, Tenn. – (September 28, 2017) – Acumen Development Partners celebrated the topping out of the first tri-branded Marriott hotel in the US yesterday afternoon with a private ceremony hosted by Hotel Owner, North Point Hospitalty. Key leaders and executives from Marriott International, Inc., SunTrust Commercial Real Estate, the construction lender, & North Point Hospitality were in attendance. The tri-branded $140 million, 470-room Marriott, located in Nashville’s popular SoBro neighborhood at 410 5th Avenue South, will include a 125-room SpringHill Suites, a 136-room Residence Inn, and 209-room AC Hotel. All guests of the three hotels will have access to the full-service amenities within this landmark tri-branded property. • Top floor bar & patio offering panoramic views of the Nashville skyline. Open to locals and guests of the hotels. • Interior Designer: Design Continuum, Inc.
Today, Acumen Attended the Topping Out Celebration for the 12-Story Springhill Suites Atlanta Downtown, across from the Georgia Aquarium. This project has been underway slightly over one year, and is on track for opening by Q2 2018! Acumen is providing development management services, with Yates Construction as General Contractor, Lindsay Pope Brayfield as Architect and a myriad of other direct hire consultants and contractors. The building is owned and will be operated by Vision Hospitality Group. "This is a great day for the project! ", said Brian Parker, Acumen's On-Site Project Manager. "We have worked with Yates and LPB to overcome a plethora of unforeseen conditions, all without affecting the critical path, and are truly excited about the next 6 months of this project, as we bring it to life. I am very proud of our project team". 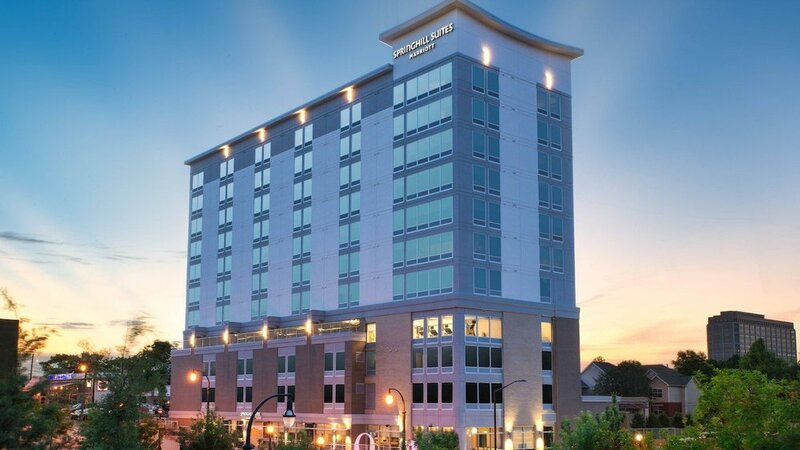 Acumen Development Partners is managing the renovation of the Marriott Courtyard in Chapel Hill, North Carolina for Atlanta-based Noble Investment Group. The 5 Story / 169 key property is located at 100 Marriott Way near downtown Chapel Hill. Nearby attractions include the University of North Carolina - Chapel Hill campus, North Carolina Botanical Garden and The Carolina Basketball Museum. The hotel also neighbors the Friday Center, a 25,000 sf convention space. Construction commenced in December 2016 and is scheduled to be complete by March 2017. General contractor is Salisbury and Moore Construction Inc., Raleigh, NC and architectural services were provided by Baskervill, Richmond, VA. 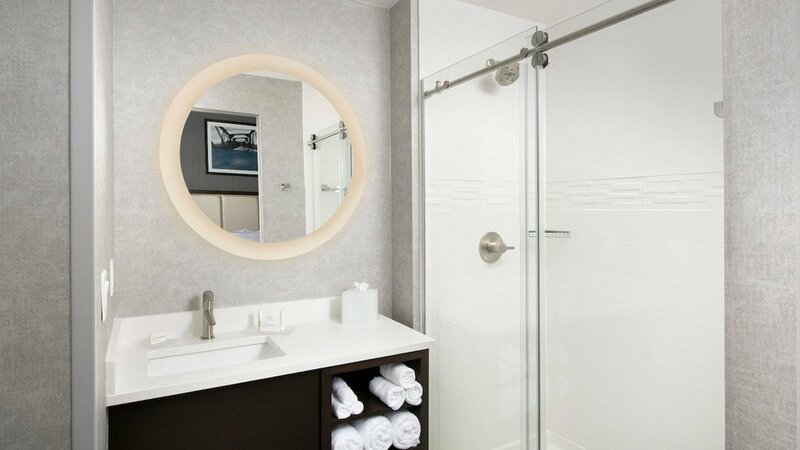 The renovation scope included a complete softgoods renovation of guestrooms and minor reconfiguration of public space including a new front desk. The Courtyard Chapel Hill is owned by Noble Investment Group and managed by Interstate Hotels and Resorts.